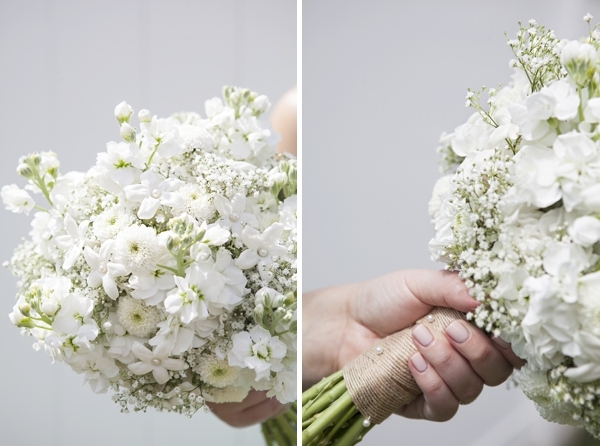 Learn how to create an elegant babies breath wedding bouquet! 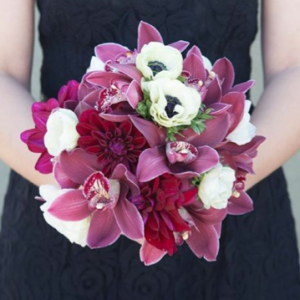 AVAILABILITY // All the flowers in this bouquet can easily be sourced year round! 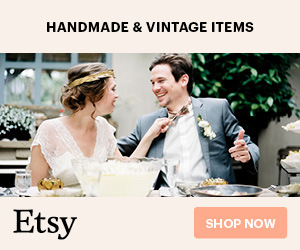 Meaning no matter winter or the middle of summer – you can have this look. 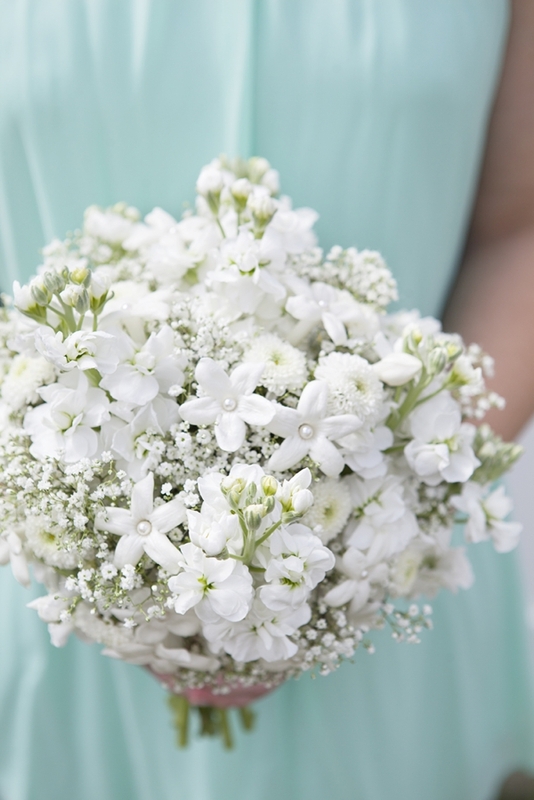 Stock comes in a variety of pale colors which could bring a completely different feel to this bouquet; pale peach, pale yellow, pale pink, and lavender. CARE // Overall this bouquet is water sensitive. 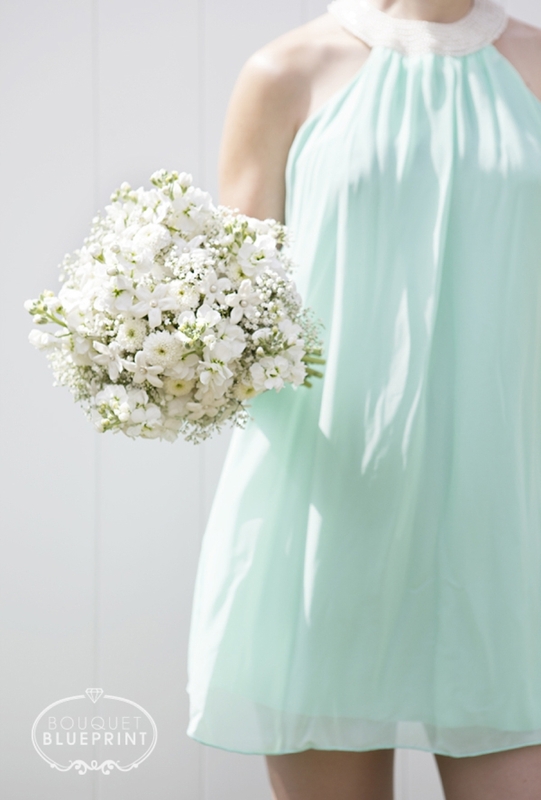 Stock can be delicate so it’s best to keep this bouquet in a small amount of water until the wedding begins. 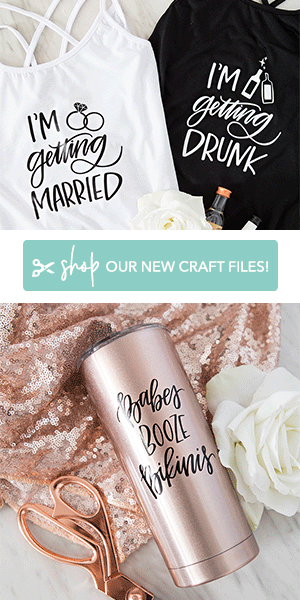 It’s also best if it can be placed in a decorative jar of water at the reception. 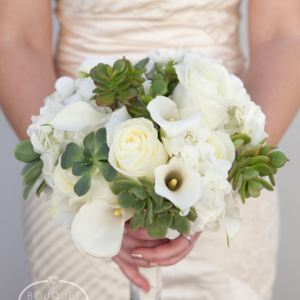 Stephanotis can be a difficult flower to use and is best used with a special water source called a stephanotis stem (can be purchased at a local flower shop). 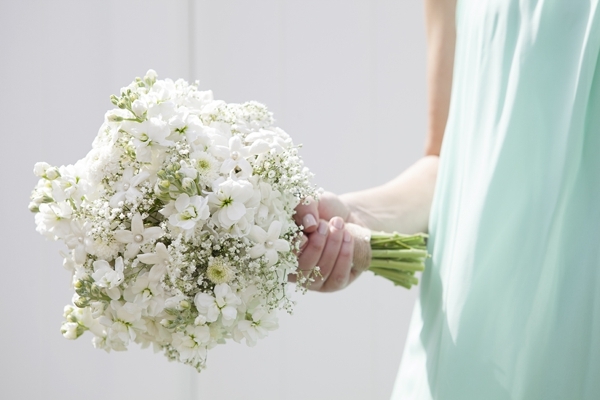 It’s actually best to leave the stephanotis in a cooler until the morning of the wedding and then place it in the bouquet. 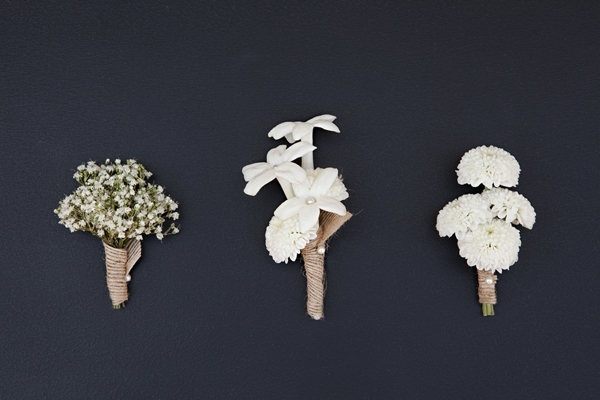 BOUTONNIERES // Each of these boutonnieres are simple and elegant for a no-fuss look that perfectly matches the bouquet. Notice that stock was not used in any of them because of it’s water sensitivity. 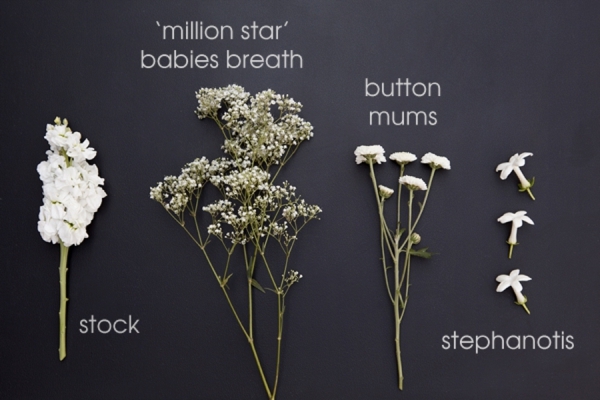 Babies breath and button mums are perfect flowers for boutonnieres, wrap with a little burlap ribbon held in place with flower pins and they are ready to go! 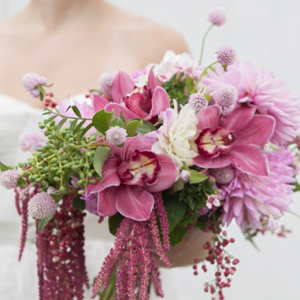 Gorgeous bouquet. 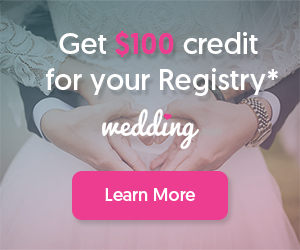 Love the all white look, but with texture!